As mentioned, BFree's products are allergen-free, and I like how their packaging clearly touts all their special diet credentials. The breads are vegan-friendly, and tout nutritional benefits too, including low fat, no added sugar, and a high fiber content. 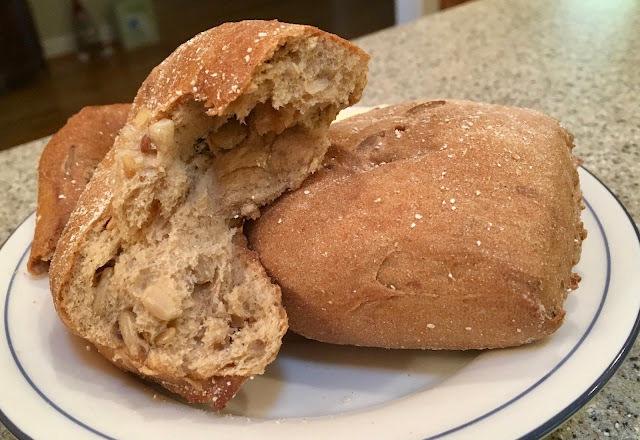 I used the brown seeded rolls in a more traditional roll capacity, serving them as a dinner roll. Popping them in the oven for 20-ish minutes brought them to life, and I loved how they were soft and doughy, not at all crumbly or weirdly textured. They have a complex, whole grain flavor, and whole seeds are spread throughout the roll. Melting non-dairy butter on them makes them even more irresistible, and it was wonderful to enjoy the too-rare experience of bread service with a meal. For the white rolls, I prepared them the same way by warming them in the oven wrapped in aluminum foil. 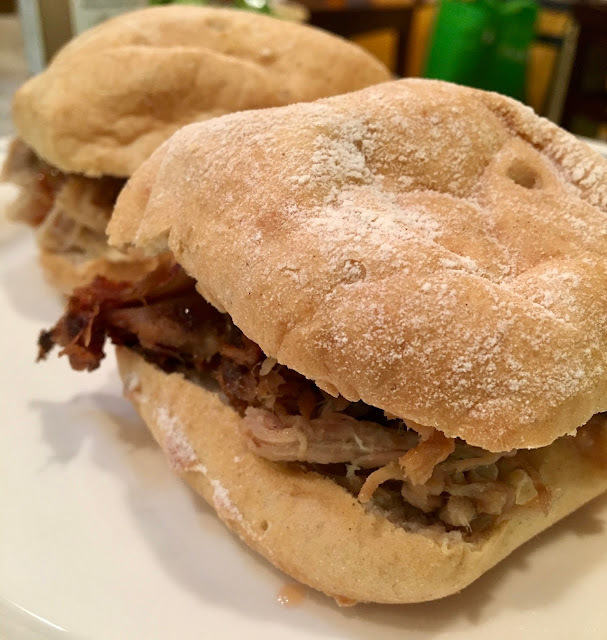 Instead of serving them as a bread course, I sliced two in half to make mini slider buns for leftover pulled pork barbecue from The Pedalin' Pig (my review). The rolls hold up easily as a mini bun, and have a classic white bread taste and light texture. Even when sliced, they did not crumble and easily held from first bite to last. 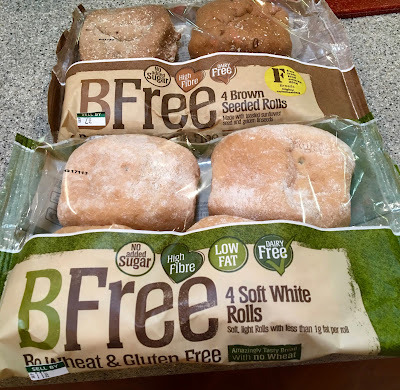 I was impressed by BFree's rolls, and will definitely make a point to try their other products in the future. The rolls not only tasted good, but nailed the perfect texture that so many other rolls I have tried have not been able to achieve. Soft and chewy, these rolls met and exceeded my expectations- and I dare say they'd hold their own against any gluten-filled roll too. 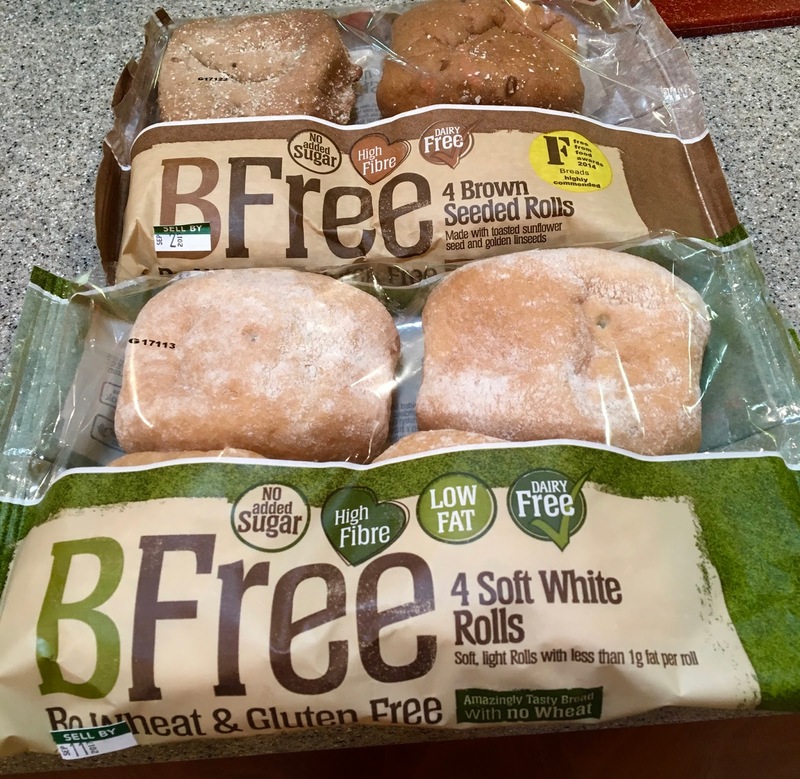 Click here to visit BFree's website for more information about their full product line and where to find their products at local stores and online retailers.